Looking for an amazing tasting BCAA energy drink that will give you a nice boost during your intense workouts? If so, then you've just found it with the ON Amino Energy drinks. As we had mentioned in our Xtend review, this and Xtend are our 2 favorite BCAA based workout drinks. The orange flavor of this is simply amazing. This product contains different ingredients that combine to help boost your energy levels, build muscle, improve recovery, increase NO levels, and enhance mental focus. This does contain caffeine, so users with caffeine sensitivities should take note of that. Another notable addition is beta alanine, which we'll discuss as well. On Amino Energy comes in 5 different flavors including blue raspberry, grape, orange, watermelon, and fruit fusion. First of all, all the flavors taste really good. My least favorite one is the blue raspberry, even though it's still quite good! My favorite by far is the orange flavor, and the watermelon taste comes in a close 2nd place. Of course, this is based on personal preference, and your choice will differ from mine. Overall, I don't think you'll be disappointed at all with its delicious flavors. Take a quick look at the label below, and you'll see that each serving contains just 10 calories, 2 grams of carbs, and a 5 gram amino blend, which includes a somewhat long list of amino acids. It also includes 160mg of caffeine sourced from green tea and green coffee extract - this is equivalent to drinking about a cup of coffee. Again, beware of this if you have caffeine sensitivities. In case you're wondering, there has been extensive research done on the performance enhancing effects of consuming BCAA supplements. Various clinical studies have found consuming BCAA helps to improve recovery and reduce muscle damage from intense exercises. It has even been found to produce anabolic effects. 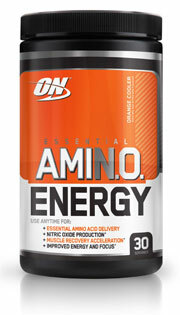 The other very interesting addition to Amino Energy is the beta alanine. This is a beta amino acid that has been found to massively increase your muscle carnosine levels, which greatly reduces your fatigue level from exercising. 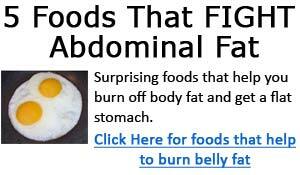 Studies have found it to even help increase lean body mass. I won't cite the studies here, as we've talked about beta alanine in detail here. The one quirky thing about it, is that when taken in higher amounts (usually more than 800mg), beta alanine can cause a sharp tingling sensation in the skin. Now, I don't imagine there is all that much beta alanine contained in ON Essential Amino Energy, at least not enough to make your skin tingle - as I like to add beta alanine to my own drink mixes (in decent amounts). But with Amino Energy, I've never once experienced any skin tingling sensation. That does it for our Optimum Amino Energy review. It's one amazing tasting workout drink that will give you a very nice boost during those ultra intense workouts. Give it a shot, you won't be disappointed. 1. J Strength Cond Res. 2010 Apr;24(4):1125-30.